“Dachau is left standing because it must be. All the Dachaus — all the Belsens, all the Buchenwalds, all the Auschwitzes — all of it. They must remain standing because they are a monument to a moment in time when some men decided to turn the Earth into a graveyard. Into it they shoveled all of their reason, their logic, their knowledge…but worst of all, their consciences. And the moment we forget this, the moment we cease to be haunted by its remembrance, then we become the gravediggers. You have been lied to. 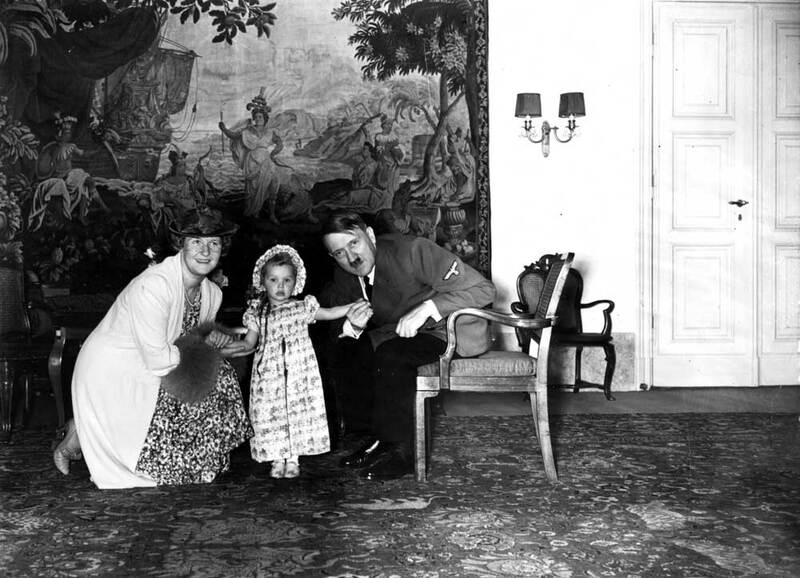 Have you ever seen pictures of Adolf Hitler like these? 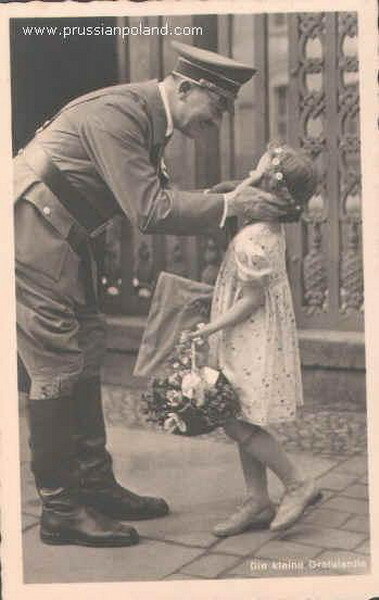 All of the images that you have seen of Hitler portray him as a sadistic, evil, madman. 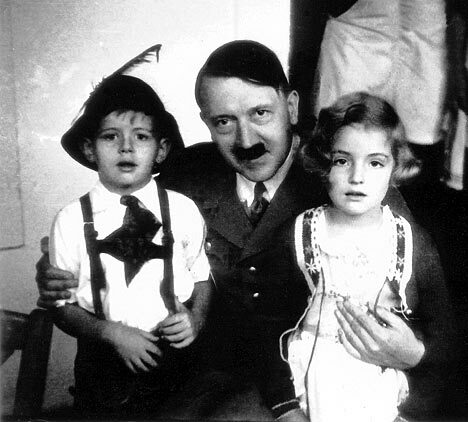 Adolf Hitler, while be eventually became an evil man, was well loved by the people of Germany. 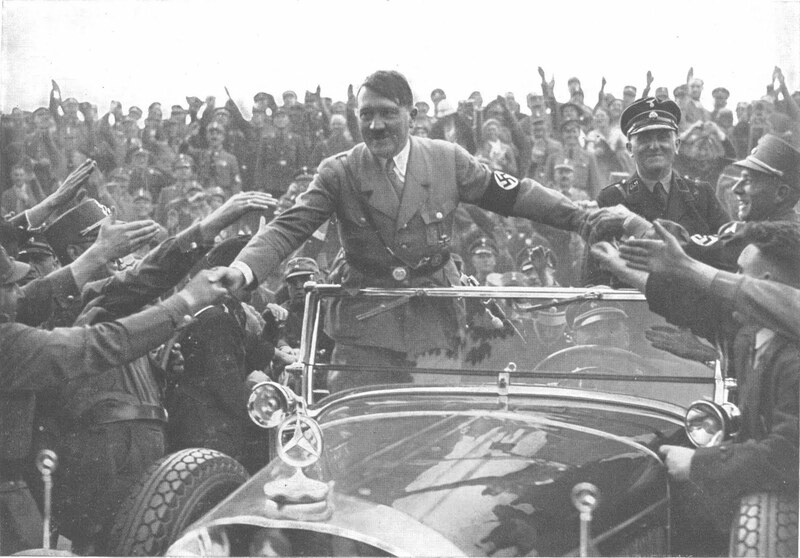 Adolf Hitler saved the shattered economy of Germany. 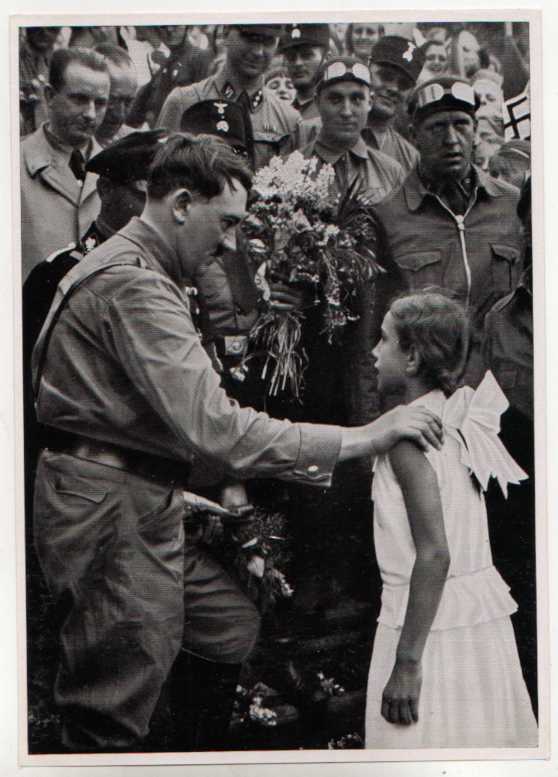 Adolf Hitler was a HERO of the people. Many of the world’s political reformers are well loved by the people, but they often have a diabolically evil nature lurking inside them, ready to come out. 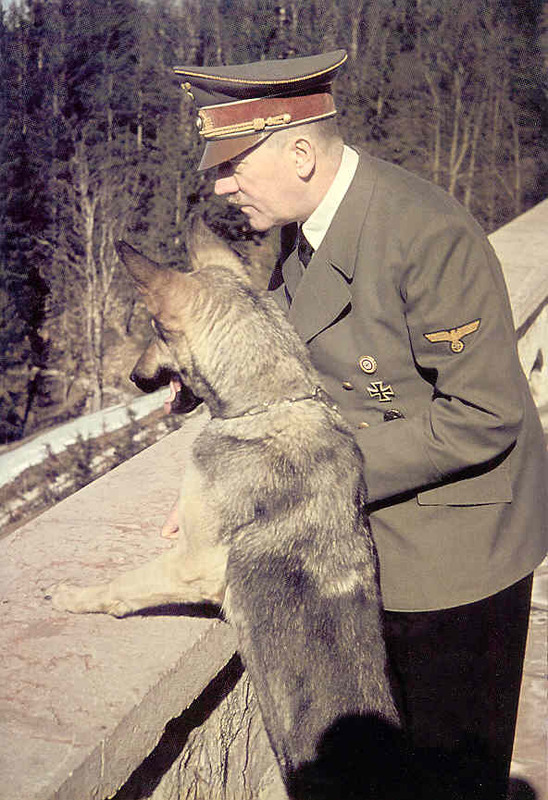 To call Adolf Hitler evil is dangerous. Why? Because if you call him truly evil, then you will not be able to accept the idea that others can become evil too. Worse, to call Hitler a madman is just as dangerous. 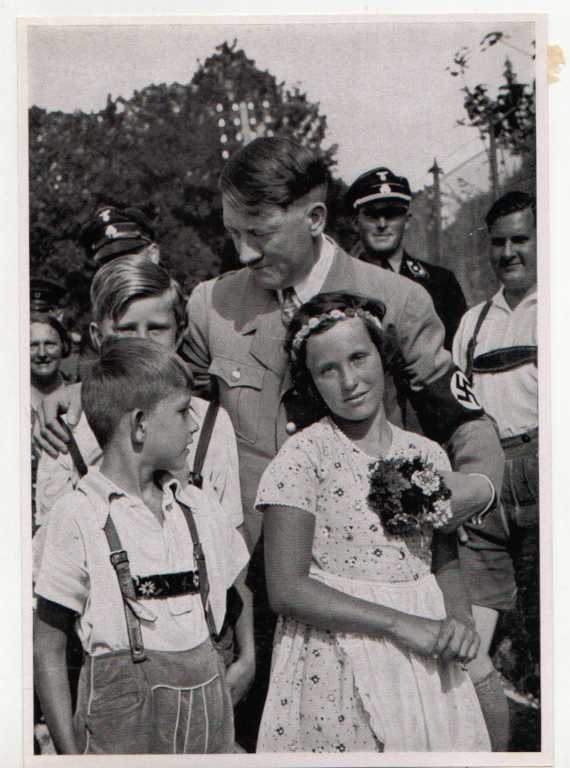 Hitler knew what he was doing, he was beloved by the German people, and he was not insane. POWER corrupted him, and he did horrible things because he believed THE END JUSTIFIES THE MEANS. He believed that he was doing good in the world. He wanted to make the world a better place. Why all the talk about Adolf Hitler? Today, we have politicians, well loved, that are doing the same thing as Adolf Hitler. Namely, Barack Obama, John Kerry, George Bush, John McCain, and others. They want more government control. They exploit the resentment that people have for the rich and successful. They promote class warfare. How can STEALING ever be good and moral? TAXES are a form of government theft. The Progressive income tax is a system of THEFT, designed to REDISTRIBUTE WEALTH. Stealing on such a grand scale is similar to mass murder. 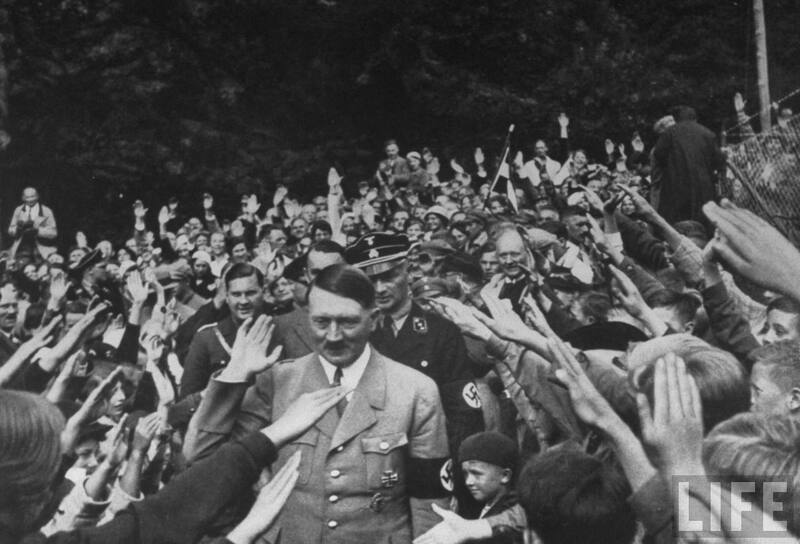 Not all politicians are loved by everyone, but NONE OF THEM has the wild popularity that Adolf Hitler enjoyed. Can you believe it? 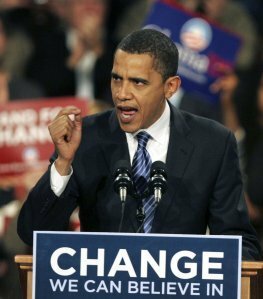 Adolf Hitler was far more popular with his people than Barack Obama, Ronald Reagan or any other American politician, except perhaps Franklin D. Roosevelt. 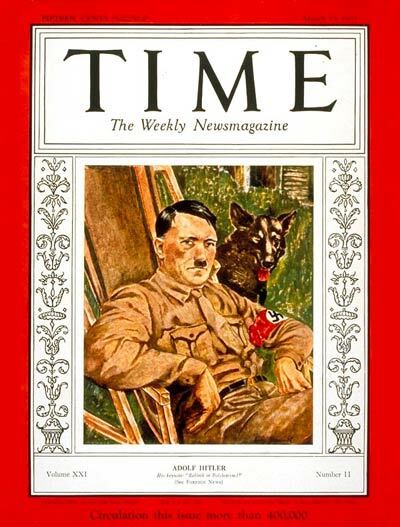 Progressive magazines like TIME admired Adolf Hitler, who was on two of their covers. 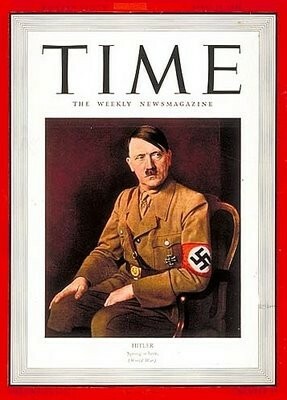 Adolf Hitler was even named "Man of the Year" by TIME magazine in 1938. Many people reading this blog may think that it is a “right wing” blog. This is untrue. This blog is about AMERICA’S DESCENT INTO SLAVERY. The enemies of freedom are the politicians that promote PROGRESSIVISM, which is the root of COMMUNISM, SOCIALISM, FASCISM, AND NAZISM. Government power is EVIL. Progressive ideas are the cause of great evil and suffering in humanity. Progressive leaders include Karl Marx, Joseph Stalin, Mao Tze Tung, Adolf Hitler, Franklin D. Roosevelt, Ted Kennedy, Barack Obama, Hillary Clinton, John Kerry, George Soros, George Bush and others. As you can see, Progressives (Communists, Fascists, Nazis) come from all political parties. 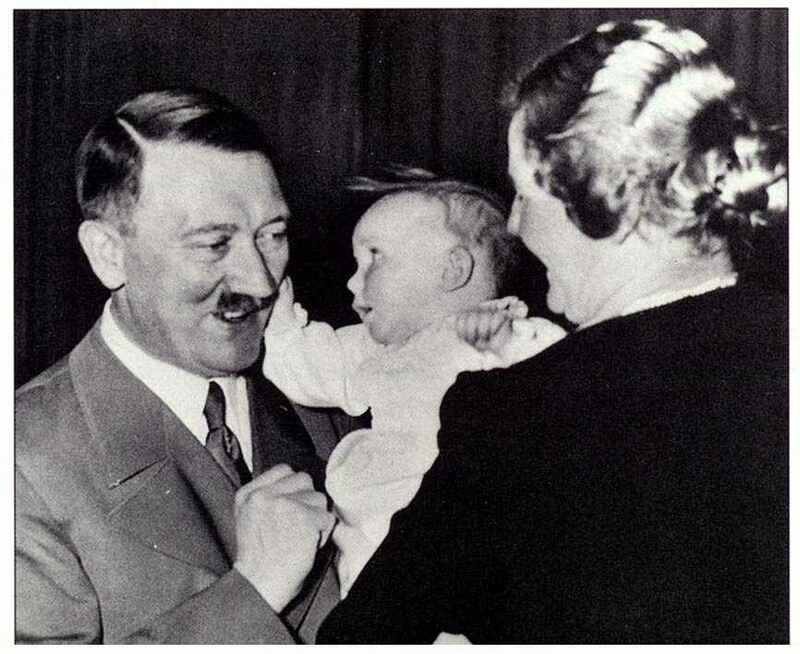 The world likes to portray Adolf Hitler as a sadistic, insane, evil madman. 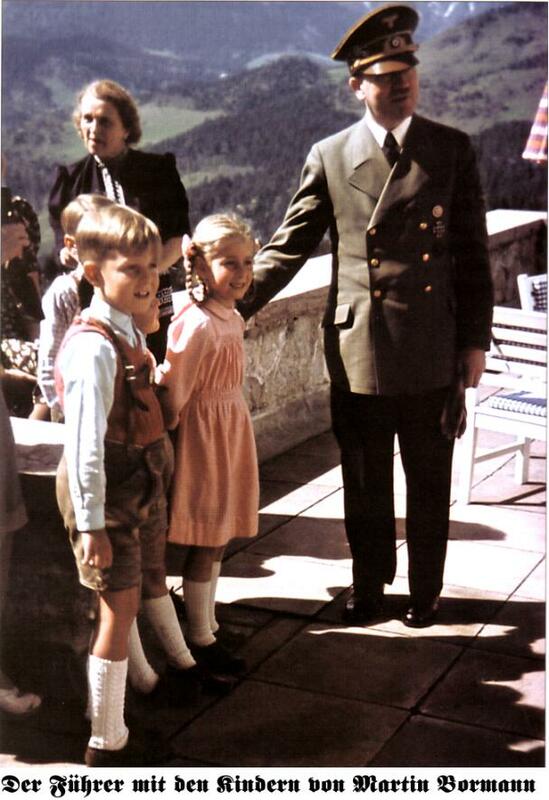 In truth, he was loved by his people, he instituted Progressive ideas through Nazism, and he tried to help the world. He wanted things to CHANGE. Power corrupted him, he became evil because he believed the end justifies the means, and he murdered countless millions of people. 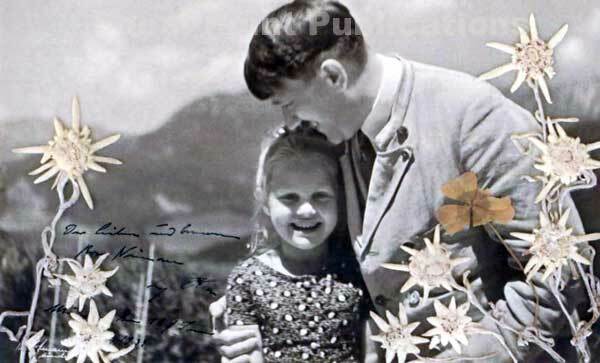 What Adolf Hitler did to the Jewish people must never be forgotten, but remember, it was his PROGRESSIVE ideas (Nazism is NATIONAL SOCIALISM) that led to the death of 6 million Jews and another 5 or 6 million others. The Communists murdered 150 million people. Communists and Nazis are both PROGRESSIVES. 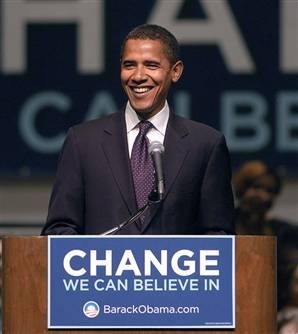 The last two American presidents, George Bush and Barack Obama, are also PROGRESSIVES. Remember this can happen to our own politicians. If they are PROGRESSIVES, they promote COMMUNISM, SOCIALISM, FASCISM, NAZISM. These totalitarian forms of government lead to SLAVERY. Beware of politicians, especially the popular ones. Otherwise, we may find ourselves experiencing the nightmares that people like Hitler, Stalin, Mao Tze Tung and others brought to the world. 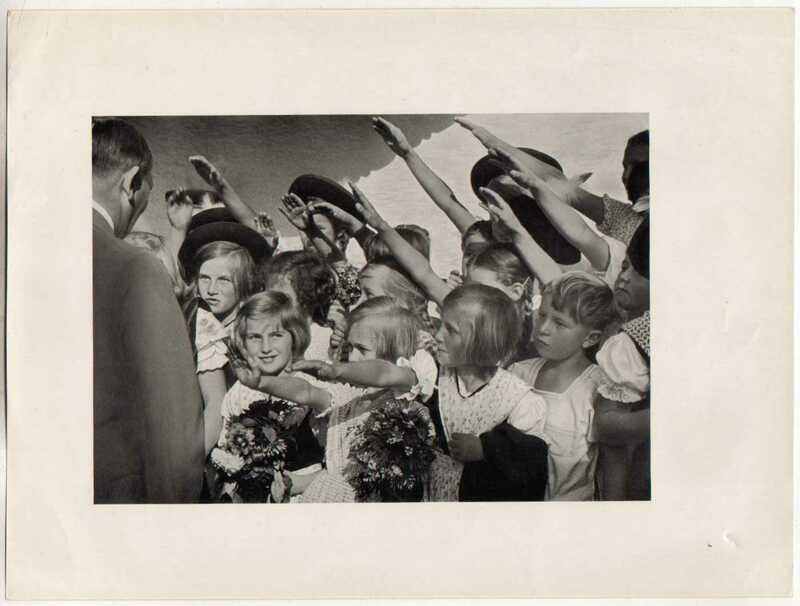 Before the war, Adolf Hitler was a Progressive leader, admired by many Americans. The only way to guard ourselves against tyrannical government is to beware of politicians. Limit their power. The American form of government was designed to limit the government’s power – to prevent the government from becoming a tyrannical institution. BIND THE GOVERNMENT WITH THE CHAINS OF THE CONSTITUTION. Beware of anyone that wants to destroy the constitution.